History of Greek swords. Hoplite swords, Trojan swords, kopis, xiphos and makhaira sword. 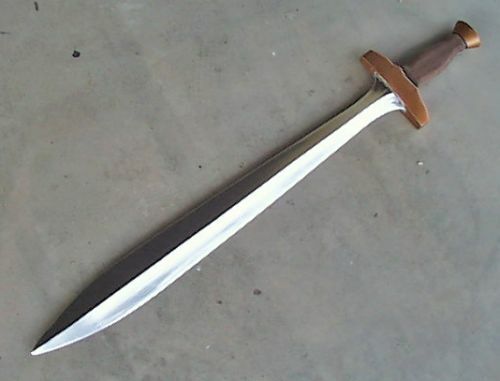 Greek sword history. Types of Greek swords. In the Classic age Greek swords took a sharp turn. It was during this time that Athens and Sparta allied to fight the Persians in 500 B.C. All citizens of the time were required to be drafted to the army. After one year of service they were presented with a sword and a shield. During this time the Greeks began to develop their swords out of iron and this lead to the creation of the xiphos, makhiara and the polearm. The Hellenistic age is best known for Alexander the great, Alexander carried a makhiara with his men carrying polearms and xiphos. By 180 B.C. 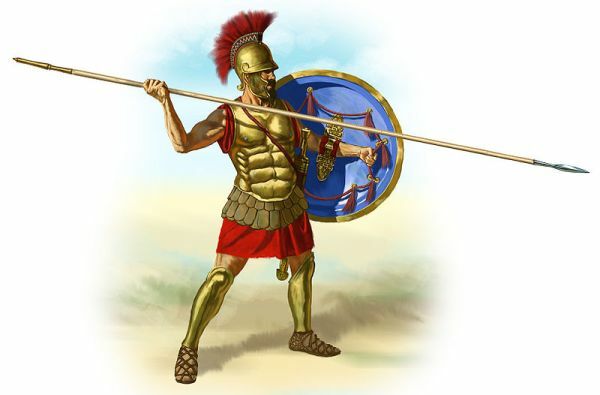 The Greeks where masters in the art of warfare, they could conduct assaults with catapults as well as a strong defense based around the hoplites. 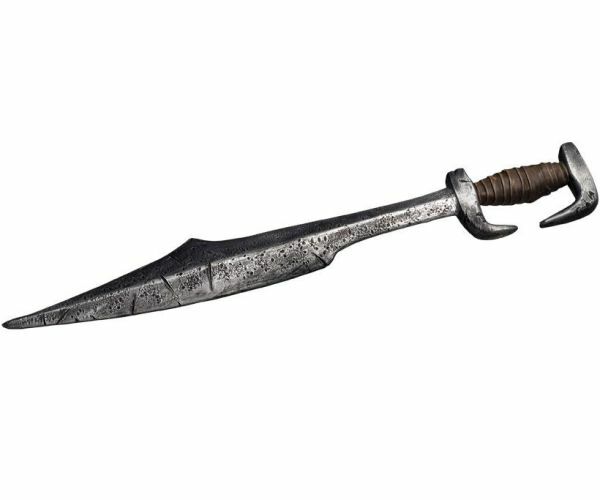 There are several mythological swords such as the sword of death owned by Thantos the god of non violent death. It was used to take a cutting of a dying persons hair to send to the underworld. One of the most famous swords of Greek myths was the sword given to Perseus to kill Medusa. 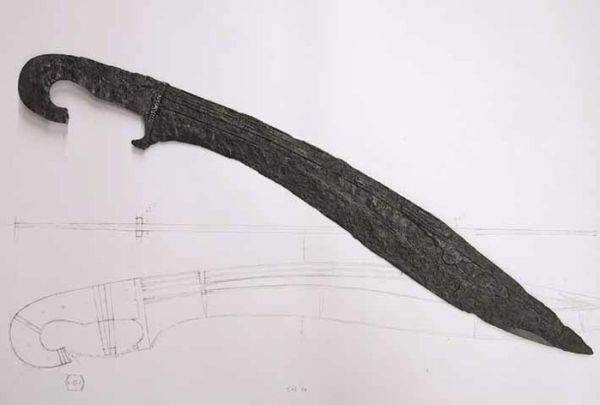 This entry was posted in Swords and tagged Greek swords, Hoplite sword, Kopis, Makhaira, Spartan sword, Xiphos. Bookmark the permalink.